Anarchy is order, government is civil war. Up to now you have believed in the existence of tyrants. Well, you were mistaken. There are only slaves. Where none obeys, none commands. Oui, l'anarchie c'est l'ordre; car, le gouvernement c'est la guerre civile. Yes, anarchy is order, government is civil war. 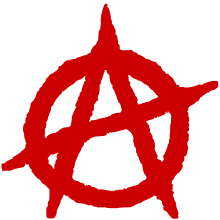 Bellegarrigue is often credited with first using the slogan "Anarchy is order, government is civil war" in 1848; it may have been derived from Pierre-Joseph Proudhon's expression, in What is Property? An Inquiry into the Principle of Right and of Government (1840): "As man seeks justice in equality, so society seeks order in anarchy." 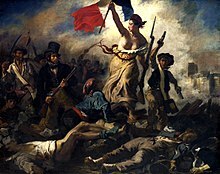 I am an anarchist, a political and social Huguenot; I deny everything and affirm naught but myself: because the sole truth of which I have material and moral proof and tangible, comprehensible and intelligible evidence, the only real, startling, non-arbitrary truth not susceptible to interpretation, is myself. I am. There I have a positive fact. Everything else is abstraction and, in mathematics, would be designated as "x", and unknown quantity; and I need not trouble myself with it. Most of the revolutionaries who turned toward anarchism as a consequence of 1848 did so by virtue of hindsight, but one man at least, independently of Proudhon, made his defense of the libertarian attitude during the Year of Revolutions itself. "Anarchy is order; government is civil war." It was under this slogan, as willfully paradoxical as any of Proudhon's, that Anselme Bellegarrigue made his brief, obscure appearance in anarchist history. Bellegarrigue adhered to the central anarchist tradition in his idea of society as necessary and natural and as having “a primordial existence which resists all destructions and all disorganizations.” The expression of society Bellegarrigue finds in the commune, which is not an artificial constriction, but a “fundamental organism,” and which, provided rulers do not interfere, can be relied on to reconcile the interests of the individuals who compose it. It is in all men’s interests to observe “the rules of providential harmony,” and for this reason all governments, armies, and bureaucracies must be suppressed. This task must be carried out neither by political parties, which will always seek to dominate, nor by violent revolution, which needs leaders like any other military operation. The people, once enlightened, must act for itself. Biography of Anselme Bellegarrigue by George Woodcock. This page was last edited on 23 February 2016, at 18:50.